Before you shop online, check out Goodshop.com. It is simple, just join with your email address, select the National Wolfwatcher Coalition as your cause, and begin shopping at more than 5,000+ stores, most big name, national chains offering deals and coupons and if none of the deals meet your needs at this time, you just click on that store’s logo to begin shopping. When you shop through GOODSHOP, a portion of the sale is donated back to us, AT NO EXTRA COST TO YOU. You can also shop at your favorite stores, get the best deals at each, and give back to the National Wolfwatcher Coalition, with the Goodshop app for iPhone and iPad ON THE GO. Shop at our new wolf products store at Amazon.com where you can find books, jewelry, cell phone cases, items for your home and much more. Every purchase also supports the National Wolfwatcher Coalition! The Mountain has a wide variety of shirts available for purchase. Just visit themountain.com and use code NWC15 when ordering and you’ll get 15% off and Mountain will give Wolfwatcher a dollar to help wolf conservation. 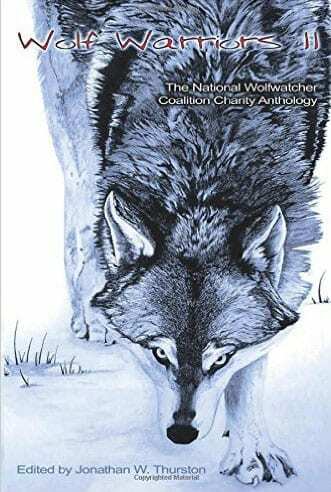 The Wolf Warriors II: The National Wolfwatcher Coalition Anthology Book is now available for purchase online. This anthology captures the various faces of the wolf: from the fantastic to the horrific, from the snow-capped mountain peaks to the moonlit lake in the trees. The howls of these warriors will make you smile, make you cry, and, most of all, make you want to raise your own howl to join the chorus. These days nearly everyone does some shopping online. But, did you know that when you shop on Amazon, the National Wolfwatcher Coalition can earn a small donation from Amazon? To shop simply go to smile.amazon.com/ch/45-2352223 from the web browser on your computer or mobile device. You use the same account on Amazon.com and AmazonSmile. Your shopping cart, Wish List, wedding or baby registry, and other account settings are also the same. On your first visit to AmazonSmile , you need to select National Wolfwatcher Coalition to receive donations from eligible purchases before you begin shopping. Then every eligible purchase you make on AmazonSmile will result in a donation to us! Deep Discounts on open-box and used in Clothing + Accessories, Electronics, Home, Garden and Patio. Error: Error validating access token: Session has expired on Friday, 22-Mar-19 12:26:11 PDT. The current time is Sunday, 21-Apr-19 03:45:11 PDT.